… most of those college dropouts leave the campus having learned little of value, and with a mountain of debt and devastated self-esteem from their unsuccessful struggles. Perhaps worst of all, even those who do manage to graduate too rarely end up in careers that require a college education. So it’s not surprising that when you hop into a cab or walk into a restaurant, you’re likely to meet workers who spent years and their family’s life savings on college, only to end up with a job they could have done as a high-school dropout. In a successful, benevolent, conformist, paternalistic state, risk avoidance is an optimal strategy for personal success. However, those who succeed may come to apply this strategy much too widely. Having kids is a big investment entailing lots of risk, no matter who you are. It is a risk which managed society in Singapore has not yet formulated an effective insurance policy for. The decision to enter a marriage and have children is a personal one, the expense and success of which are determined in large part by how your personal conditions for happiness are structured. If you were truly conformist, there would be no problem with settling, but I would guess that that is hard to jibe with the self-image of the young single professional. People underestimate the difficulty of being happy AND unique. Peter Thiel writes the coolest apocalypse story that I have read in a while. It draws the opposite conclusion from Paul Seabright’s The Company of Strangers, but from pretty much the same observations. The observation common to both – globalisation has provided amazing boosts in human wealth, but the resulting complexity has also made holistic understanding impossible, leaving blind optimism as the only motivating factor. That lack of understanding, according to Seabright, lends a certain robustness to the dynamics, whereas Thiel claims that it perches the world on a cusp dividing utopia from apocalypse, an unstable point from which the smallest deviation would bring either eternal paradise or the terminal abyss. Each central bank, while trying to stabilize its own bit of the world, found itself with little choice but to support and expand unsustainable financial flows on a scale so massive they have reshaped the composition of every major economy on the planet. Corporate entities and government agencies are agents too, but more rational and with less risk adversity. That is one thing that doesn’t percolate up too well, I guess. Fascinating podcast about the incentives of leaders. Main thesis: institutional constraints select for and strongly define leadership behavior. Each leader is faced with the same problem – that of staying in power, usually accomplished by gifting the “selectorate” with resources gained from taxation. When this group is small, dictatorship results, and when this group is large, societies are more democratic. There is an interesting mention of several leaders – King Leopold in Belgium and the Congo, and Chiang Kai-Shek in China and Taiwan, where different institutional constraints led to really different leadership styles by the same leader, sometimes simultaneously. Also mentioned are Lee Kuan Yew and Mao Zedong. At the end of the podcast, he advances an argument against term limits, which seems to approve of the way governance in Singapore works – the argument states that term limits cause lame duck terms, when leaders are no longer incentivized by re-election and are then free to give out political favors. Ever since sitting in on Sussman’s classes two years ago, I’ve had “Semantics vs Syntax” on my list of things to understand. It still floats near the top of that list because of its relevance to many of the other problems I am interested in, namely the principal-agent problem, the question of what differentiates computation from other types of thinking and also the true nature of web2.0 technologies. Will Wilkinson and Clay Shirky mention many of the issues which I have been thinking about recently, starting with Ronald Coase’s Theory of the Firm, and discussing the relevance of arbitrary, coincidental technological limitations to the nature of mass culture and political organization. (Instance of internet-mediated mass action: students in the UK fighting a HSBC checking account fee increase through Facebook.) Shirky observes the web2.0 technology seems to be bad at filtering for mid-sized groups, as opposed to individuals and big groups. Also, there is a discussion about the supposed impossibility of wikipedia, some nupedia history, and the encroachment of passion-based effort into what were traditionally purely monetarily motivated activities. Among the profound — and mundane — questions they are confronting: How do 530 priests and deacons give communion to 57,000 people in 14 minutes? Before listening to this talk, I had always assumed that Americans had so much debt because of excessive consumer spending. According to Warren, however, the biggest increases have come from fixed costs like mortgages, car payments and education. I would say that overall it is a huge conversion of good debt to bad debt, due to an exacerbation of the principal-agent problem – in both education and in big financial decisions, I think buyers today often have a huge information disadvantage. Warren also mentions the shift to both parents working in the typical family, and the tying up of resulting increased income in large, inflexible fixed expenditures. I think most people underestimate the fragility that results from such an arrangement, and still follow the same expenditure patterns as the last generation, and that is the cause of a lot of the inefficiency – it is the result of overestimating one’s capacity for risk. I wonder what the analogous development in Asia would be. 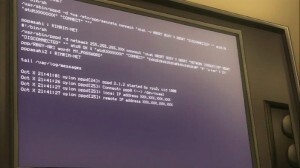 Real Linux and a BSG reference! Notably, Asia lacks a single dominant financial hub and has relatively weak cross-border financial ties in the region. Recalling an earlier crisis in global securities markets that he helped to manage, Geithner said the Fed brought together the leaders of the world’s 14 major financial firms, from five countries, representing 95 percent of all the activity in global markets. The Swiss were there, the Germans were there, the British were there. Interestingly, no Asians were there, not even the Japanese.